The active life of a militant is considered to be the time period between his joining a militant group and his death or capture. 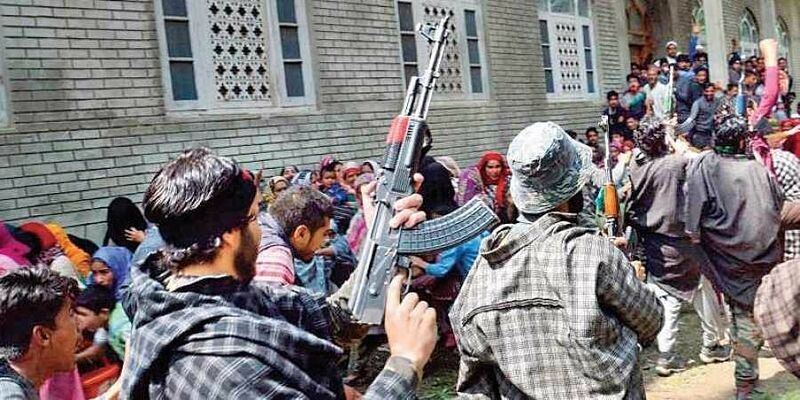 NEW DELHI: Active operations and specific intelligence inputs on the movement of militants in the violence-ridden state of Jammu and Kashmir (J&K) has brought down the average active life of a militant, sources in security forces told this newspaper on Sunday. The active life of a militant is considered to be the time period between his joining a militant group and his death or capture. The period used to be 9 months on an average, added the sources. “The active life of a terrorist has come down as we have been getting pinpointed information about the movement of the terrorists and more so about the top leaders of the terrorist groups,” said a security official who did not want to be named. Such success in operations has led to the highest number of militant eliminations in eight years. Six militants were killed in an operation on December 21 taking the total this year to 262, said the official. In 2010, 232 militants had been killed, said the official. Of the 262 killed this year, 247 have been killed in the hinterland while 15 were eliminated while trying to infiltrate into the country along the Line of Control (LoC). Security forces have also paid a heavy cost. So far, 61 soldiers and officers have been killed in incidents of cross-border firing, sniping and BAT actions on the LoC in 2018. The latest incident took place on December 22 when two Junior Commissioned Officers were killed in cross-border sniping in Kupwara. A total of 1,563 ceasefire violations took place along the LoC this year. These include incidents of firing from small arms, snipers and mortar and grenade attacks. The number of youngsters in the state taking to militancy has also increased. While 128 youngsters took up arms in 2017, the number so far this year is already at 191, according to date from a security official. Also there were 302 infiltration attempts from the Pakistan side this year, of which 138 were successful.